Warning: The following post contains imagery that may be disturbing to some readers. Gotham City is a dark place, but usually fans can rest assured that all the death and destruction on frequent display in Batman stories are purely fictional. 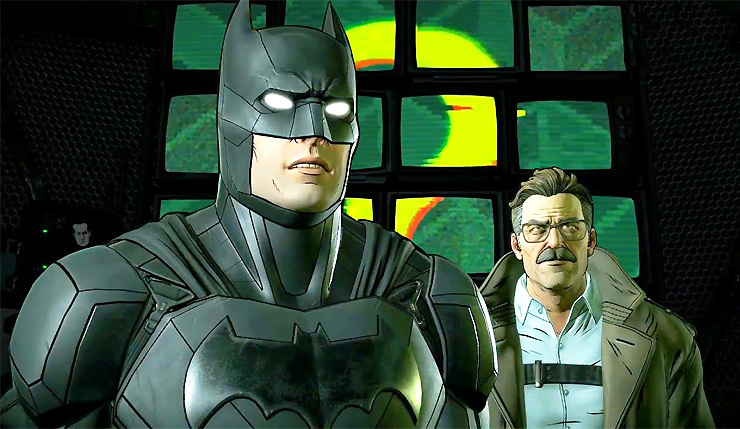 Unfortunately, the latest episode of Telltale’s Batman: The Enemy Within blurs the line between fiction and real-life tragedy. Andrei Karlov was Russia’s ambassador to Turkey until he was unexpectedly shot and killed by a rogue Turkish police officer while attending an art exhibition. The violent incident was captured live on camera and widely reported on around the world. In fact, the image that Telltale lifted was from a set that took home top honors at the 2017 World Press Photo contest. Was Telltale attempting to make some sort of statement by including an image of Karlov in their game? Almost certainly not. More likely, an overworked developer typed “assassination” or “body” into Google image search, and grabbed the first thing that suited their purpose without researching further. Unfortunately for them, they chose one of the most infamous images of the past year. Telltale has yet to respond to questions about their use of the image. Batman: The Enemy Within kicked off earlier this summer, and pits Batman against reimagined versions of The Riddler, Harley Quinn, Bane, and other villains. The episodic series is available on PC, Xbox One, PS4, and mobile platforms.